RPS Ascension: The Awakening (Spring, Year 1) | SPACE-BIFF! 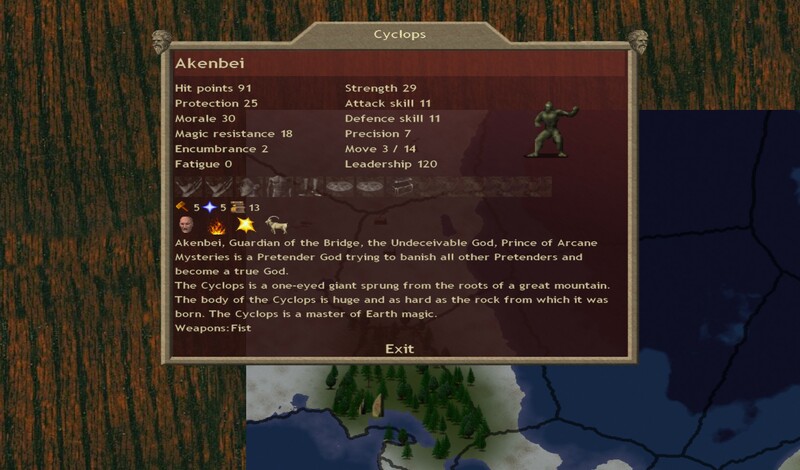 And so the RPS game of Dominions 3 begins, with the awakening of a pretender long dormant: Akenbei. Akenbei has risen from his long sleep in the fissured netherworld beneath Yomi, where he was laid to rest during the rule of the Pantokrator, the Old God. Long did Yomi-backs bend before that foreign king — and to think, he called Akenbei “pretender”! — but now the jubilant cries of all the creatures and cultists of Yomi have fallen upon ears no longer dumb with slumber. Akenbei has been made to stir, focus lidless eye, and shudder throat and tongue with speech long forgotten. Antopeos, abandoned by its patron. The world that Akenbei awakes to is much different from the one he abandoned. The once-powerful clients of the Pantokrator are scattered and dissolute, no longer pledging themselves to any being. Rather, a number of the old princes and magic-workers have arisen; those who supported and denied the Old God alike. Akenbei feels their presence, but he cannot be sure of their location or strength. For now, all he can do is rally the Yomi to his service, throw open the gates to the Netherworld, and set to claiming what should have been his all along. The first order of business is to take inventory of what we have to work with. Antopeos won’t conquer itself, after all. Akenbei is a good pretender design, capable of filling a number of roles. He’s awake (as opposed to sleeping or imprisoned, which give you more points for your design but keeps your pretender from physically appearing until later in the game), which means that I can take advantage of his presence right away to conquer some of the provinces neighboring Yomi. He’s well suited to the task: as a cyclops he has a healthy number of hit points, excellent protection and morale, and I’ve purchased some good magic abilities for him — level 5 in both earth and astral magic. This lets him cast a helpful spell right off the bat, even without research: Twist Fate, which costs nothing to cast and negates the first hit he takes in battle. This won’t be very useful against larger groups of enemies, but it may prove useful if we run into something larger for him to fight, such as elephants or a competing pretender. Troops usually require two things to build in Dom3: gold and resources. Gold is cumulative, while resources are restocked every month (one turn is one month in game time) and act as a cap to what you can produce per-turn in each province. Most Yomi troops are quite cheap in terms of resources, so gold is more important for Yomi players to create large volumes of soldiers. So Akenbei’s dominion scales are also fairly decent. While I had to make his territories oppressively hot and slothful, both of which decrease the resource count, I was able to maximize his order rating, which leads to increased gold. Ahem. Well, let’s get down to it. Our forces are composed entirely of bandits. They aren’t very useful in a standup fight, but they can sneak behind enemy lines, which is why I’ll probably be building massive amounts of them at some point to stab some poor pretender in the back. For now, I need to focus on building some actual bakemono (goblins) and onis (demons). 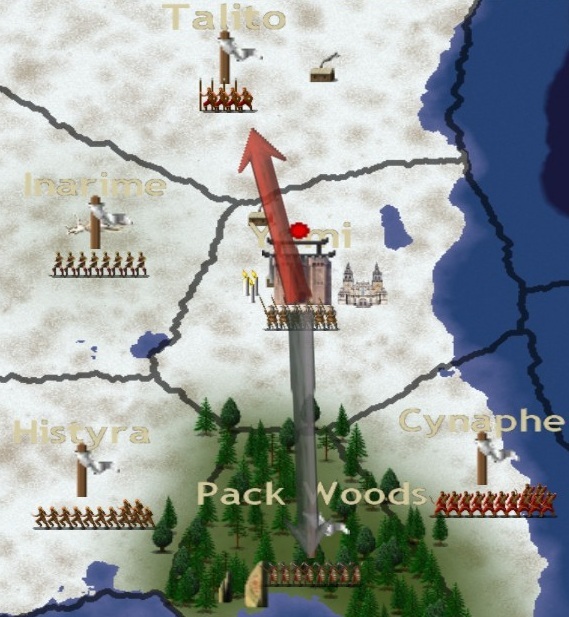 I keep Raidon in charge of the army and hire a few extra hands while I send Rai south to scout things out. I also hire Ichiro, an Oni King, and promote him to the lofty career as my Prophet, who will now be able to spread my dominion to distant lands. 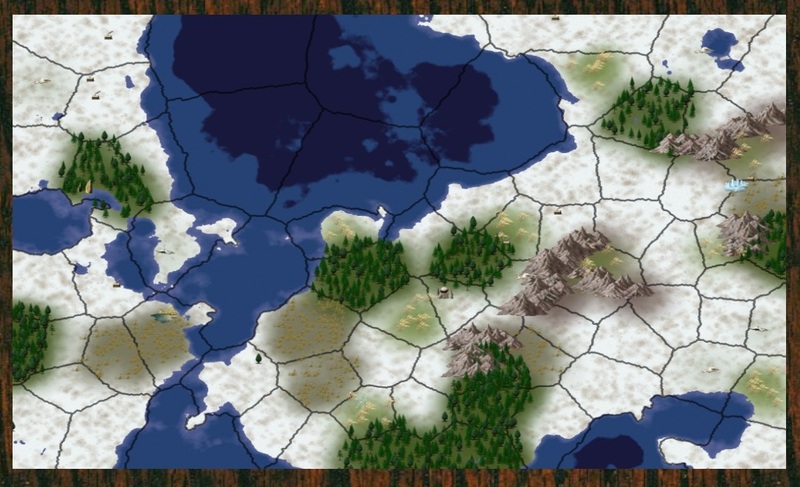 With a prophet successfully called and Rai starting off to the south, Akenbei and our slightly-improved army squad o’ goons heads north to the province of Talito, hopeful that we’ll be able to seize our first territory before summer begins. 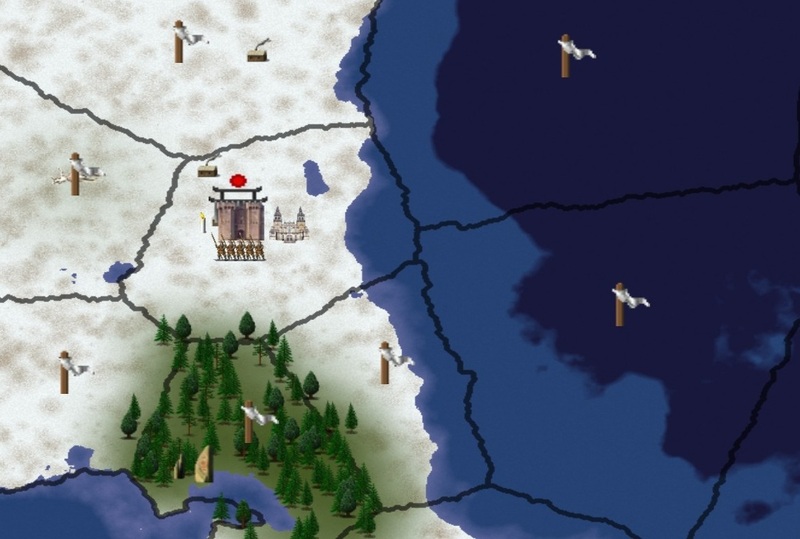 Posted on September 21, 2011, in Game Diary and tagged Dominions 3, RPS. Bookmark the permalink. 2 Comments.